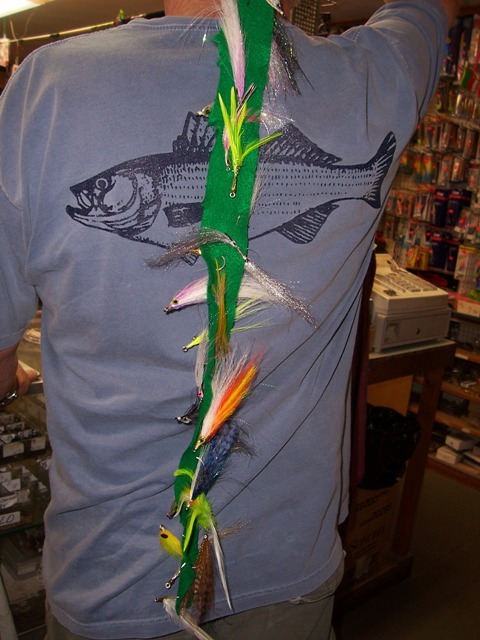 Surfland Bait and Tackle – Plum Island Fishing » Surfland has flies!!!!!!!!!!!!!!!!!! So, we had forgotten about all the fly fishermen in the area. Well, not now………..our very own Billy has graciously brought in some of his custom tied flies to make out total number of prizes now at 19!!! The value of this donation is “priceless”, but if you need to have one it is well over $100. This is just a sampling, not all flies pictured here are on the tape!